Olga Loves Yuri is one of my all time most favourite pop blogs. Yuri has very similar taste in pop music as me. Yuri is also on Last.FM and here's a song that I heard on his personalised radio station. It's the Digital Dog remix of Love Story by Taylor Swift. I've always loved dance remixes of ballads and this one is completely electric. As bloggers such as Chart Rigger have been noting today the Billboard Hot 100 singles chart have never been poppier or more international. Most of the top ten have been hits already or currently her in Ireland and in the UK. I'm always interested in those songs further down the chart. Even though I am almost as old as Yoda nowadays I still will only like a song in the first few seconds when I first hear it. I gave up on the newest Marcus Collins single after 10 seconds. One song I liked straight away is Brokenhearted by pop duo Karmin who are Amy Heidemann and Nick Noonan. It was priced at just 69c for the whole of March in the U.S. which was a v clever marketing move. They sang it on Saturday Night Live a few weeks ago too. In the 70's my mother owned a grocery shop called Karmin Stores so I of course like their name. 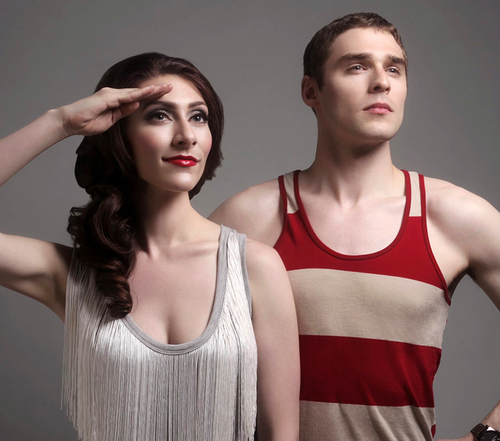 To date Karmin have mainly been performing cover versions of songs like Fireworks, Grenade and Jar of Hearts. Lots of those covers feature on Last.FM if you fancy a listen. I'm sure Karmin are singing Call Me Maybe somewhere in America right now. Here's their newest single Brokenhearted which is currently number 33 on the Billboard Hot 100 singles chart which is up 19 places from the previous week.